Users of prior versions of SONAR and other DAW software will be familiar with the process of scanning for VST plugins when the application starts up. 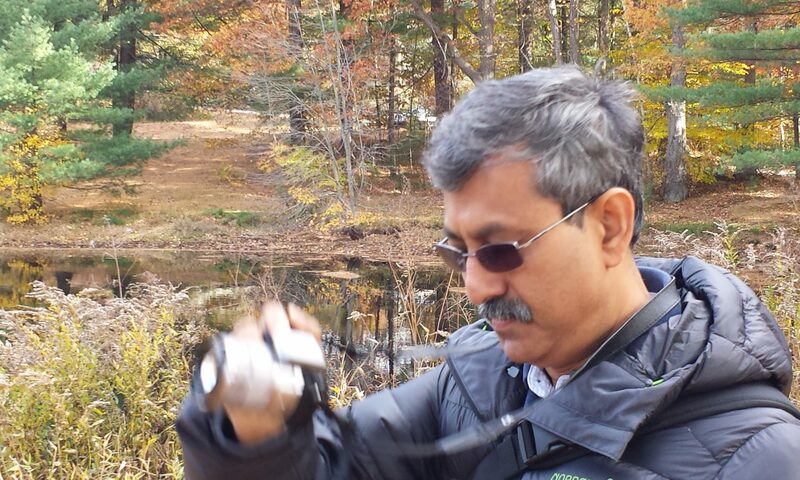 SONAR has always had a fast scanner that only scans what’s needed. X3 kicks this up several notches by introducing industry leading background scanning. With background scanning there is no annoying wait every time you start the application. The launch is instantaneous and you can start working immediately. SONAR will continue checking for new plugins in the background and seamlessly make them available to SONAR when scanning is complete. When a new plugin is found a “toast notification” will show up in SONAR’s status area, much like how a new e-mail is displayed in some email clients. At the same time SONAR’s menus and the browser will automatically populate with the new entries. This process dramatically speeds up application startup even if you have hundreds of plugins on your system only changed plugins are actually scanned. With background scanning, you can even install an entire plugin suite while SONAR is running the plugin’s will be detected, scanned and added to the plugin browser automatically without any user intervention. There are several new options in the VST preferences. The folders listed in the VST Scan Paths list are searched for new plug-ins whenever you start SONAR. Scanning occurs in the background. Scan progress displays as toast notification messages in SONAR. The folders listed in the VST Scan Paths list are searched for new plug-ins when you click the Scan button. If you have both VST2 and VST3 versions of a plug-in, you can instruct SONAR to automatically hide any redundant VST2 plug-ins from SONAR’s plug-in menus. Replace VST2 Plug-ins When Opening Projects. If you have both VST2 and VST3 versions of a plug-in, you can instruct SONAR to automatically upgrade to the VST3 version when loading a project that uses VST2 plug-ins. There are a few permutations for how VST plug-ins are substituted depending on whether you are loading in SONAR X86 or X64 and the chosen VST2 to VST3 migration flag settings. See the online help for a detailed table showing the expected plug-in substitution results when opening projects containing VST plug-ins. SONAR has supported various open plugin standards such as DX, MFX and VST2 for several years. With X3 we have added support for the VST3 plugin standard from Steinberg. VST3, like its popular predecessor VST2, is a protocol for a host and plugin to communicate parameters, events and audio data. The name VST3 is a bit misleading however, since it really isn’t an evolution of the VST2 API but is a completely new plugin format. This factor has slowed down the adoption a lot since it requires significant changes to a host program and to plugin vendors to implement. Many VST3 features could also be achieved in VST2 plugins using “vendor specific extensions” to the VST2.4 specification. However this practice led to fragmentation of the API, since as such there was no official standard for even common operations such as sidechaining. VST3 on the other hand has “out of box” support for these operations and is a relatively more modern object oriented architecture similar to a model/view/controller design. In more recent times, a few plugin vendors(e.g, Antares, Waves) have moved exclusively to VST3 for their development, to avoid the costs in developing for multiple formats as well as for some cross platform advantages offered by VST3. Another justification for our VST3 implementation came from our ARA (Audio Random Access) development in X3, since it was more natural for us to implement ARA using VST3 as the plugin model. VST3 defines the protocol for a host and plugin to communicate with each other. As such VST3 itself doesn’t implement any features.like parameter automation, sidechaining, bypass etc.These must be implemented by both the plugin and the host. This is akin to the MIDI specification where there are a myriad operations defined in the spec, but typically a given synth only implements a subset of these. Improved Sidechaining including support for true mono sidechains. Dynamic plugin packages. All VST dlls can now package multiple plugins. In VST2 Waves were the only vendor actively using Waveshells. Automatable Plugin Bypass button/parameter. The effects view toolbar now shows an automatable per plugin bypass button when supported. CPU savings for silent buffers. Silent buffers are marked so that plugins will not consume extra CPU for processing. Sample accurate automation. Automation is now timestamped so plugins can interpolate and process it in a sample accurate way. In VST2 automation was as accurate as the audio buffer size. VST preset support. You can save and load VST3 presets in the .vstpreset format. Backwards compatibility with VST2 plugins. Where supported, SONAR will automatically migrate a VST2 plugin to its VST3 counterpart and retain its settings when loading projects. e.g Vendors like Waves support this. 1. All the above operations require support from the plugin itself so may not be available. Some VST3 plugins support automatic migration from VST2 plugins to the new VST3 version. 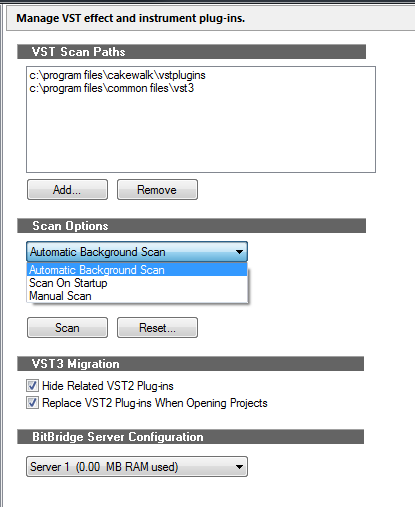 This provides for a seamless migration path to VST3 when opening older project files containing the VST2 plugins. SONAR X3 will attempt to detect a compatible VST3 plugin when loading a project and automatically transition the VST 2.4 plugin to its compatible VST3 counterpart. This capability must be supported by the plugin vendor to work. Currently Waves and Celemony support this protocol. The logic for automatic migration relies on the VST3 plugin to advertise its compatibility with a VST2 plugin counterpart. If the VST3 plugin advertises compatibility, SONAR will automatically swap in the VST3 equivalent at load time and plugin will get a chance to load its state from.the VST2 persistent settings. For plugin vendors that have a large base of VST2 plugins and wish to provide a smooth migration path to VST3, we recommend implementing this support for automatic migration. For vendors who are interested in doing this there will be another article that describes this process in detail. Another benefit of the compatible VST3 plugin detection protocol is that SONAR can automatically filter out the compatible VST2 versions from its plugin menus and only show the newer VST3 version of the plugin. This helps avoid user confusion by not listing duplicate versions of the same plugins in the browser and menus. This filtering as well as the automatic migration can be disabled in the VST preferences. SONAR’s VST plugin engine was redesigned to handle both VST2 and VST3 formats seamlessly. Along with the ARA implementation, our plugin abstraction layer was unified and optimized. Several longstanding plugin compatibility issues were also addressed. The plugin browser has been updated to make sorting and finding plugins easier. In the edit filter if the plugin supports plugin supports parameter categories, the params will be grouped into sub category folders. For plugins that have hundreds of parameters, this makes it much easier to find what you are looking for. – Select Manage Layouts from the plugin browser. This will open the plugin manager pre populated with the VST3 categories. 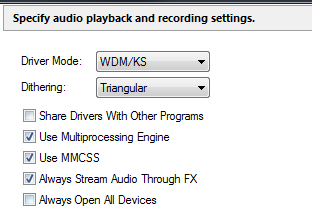 This option replaces the old Play Effect Tails on stop option in Options | Audio | Playback and recording, and is a superset of that functionality. It is enabled by default. When enabled, if the track/bus contains any active fx, the audio engine will be activated and will stream silence through this track/bus effects always, even if the track has no audio data or input monitor active. This addresses numerous longstanding problems with plugins that don’t update their UI until audio is streamed through them. Another benefit is that plugins will now respond to envelopes even on empty audio tracks, something that confuses many users when parameters in the plugin UI did not change. This also benefits plugins that are generative – for example a plugin may have a preview audio mode (eg Melodyne) or may emit a tone when clicking on a virtual keyboard. The only time the user may want to disable this is to conserve a bit of CPU if there are lots of dormant tracks in the project containing FX. Plugin windows can now be resized by dragging borders without flicker. On demand resizing is also permitted for plugins that support it. X2 and earlier only supported sidechain plugins with stereo inputs. VST plugins that support VST MIDI out are directly supported without needing to register them as a synth first. A MIDI out port is enabled automatically when a VST plugin supports MIDI output. A future update will allow MIDI input/output on such plugins to be toggled at will. Additionally a longstanding problem with multiple MIDI out VST plugins causing a SONAR to hang was addressed. Some plugins have internal non automatable parameters. In past versions these parameters would be listed along with others in the edit filter. 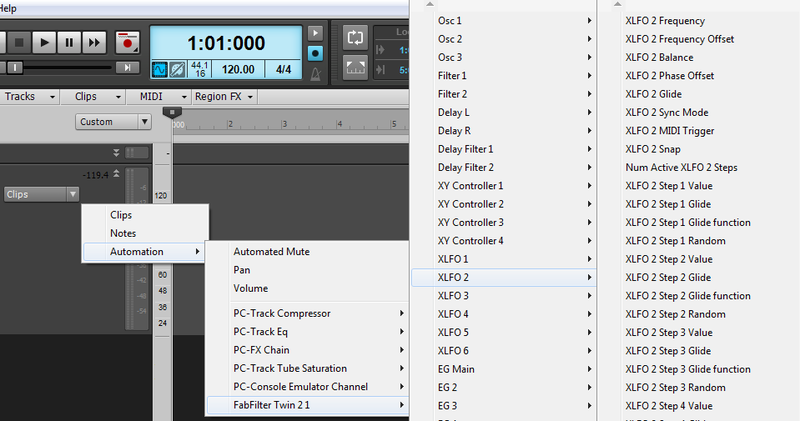 X3 now filters out all non automatable parameters from the edit filter. No more plugin limit warnings! Past versions supported upto 700 plugins in menus. SONAR X3 now supports unlimited plugins in menus and in the plugin browser. SONAR X3 is packed with enhancements and updates to the VST engine, greatly improves the plugin workflow and provides users with greater compatibility with their plugins.